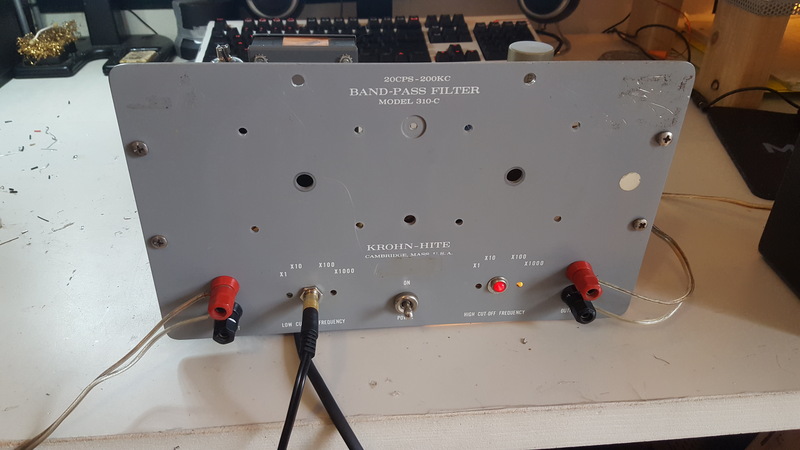 I picked up an old tube-based laboratory bandpass filter that was discarded. 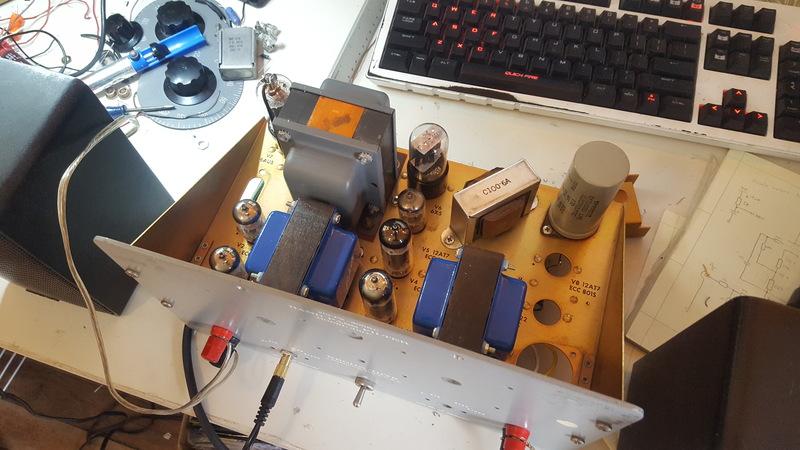 The challenge in this project was to keep as much of the old equipment in place while converting it to a single-ended power amp. 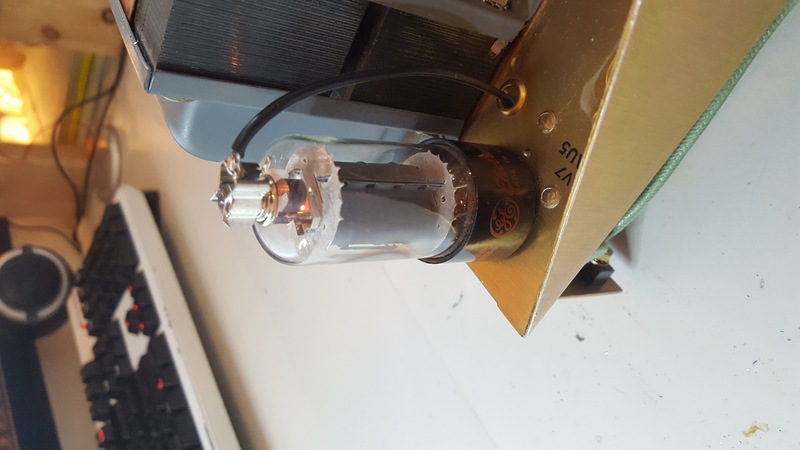 The components were in excellent condition and the case was of beautiful quality, so I really wanted to preserve what was left of the filter while turning it into something more useful. 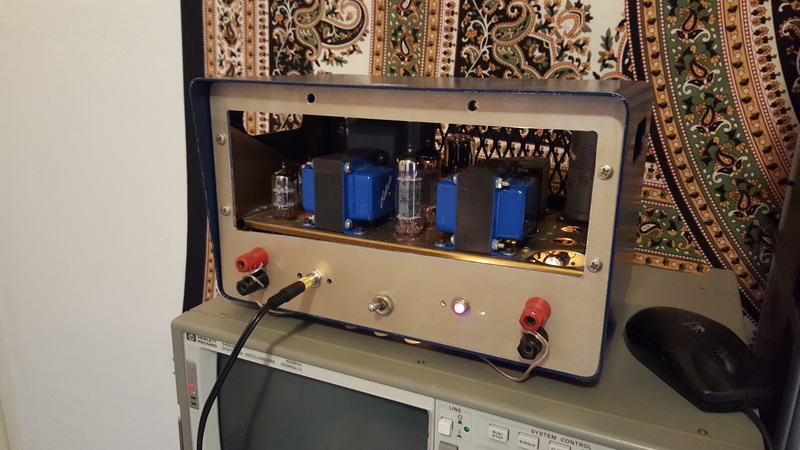 I opted for a simple pentode-mode single-ended amp using EL84 tubes. 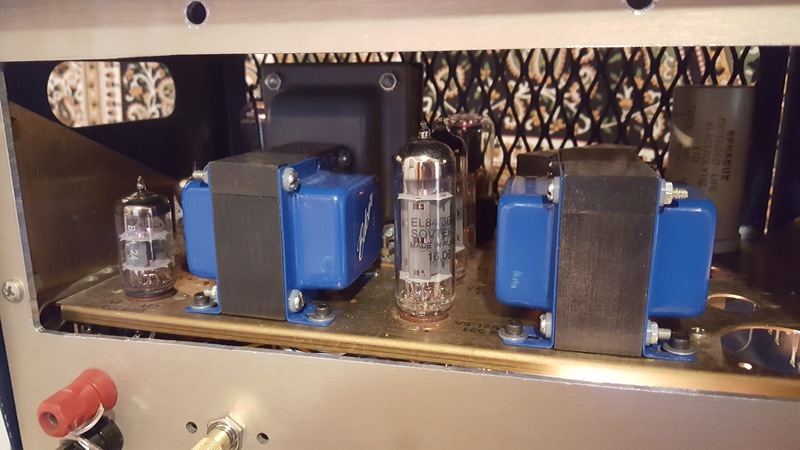 The pre-amp uses 12AT7 tubes cascaded in a mu-follower configuration for maximum gain. 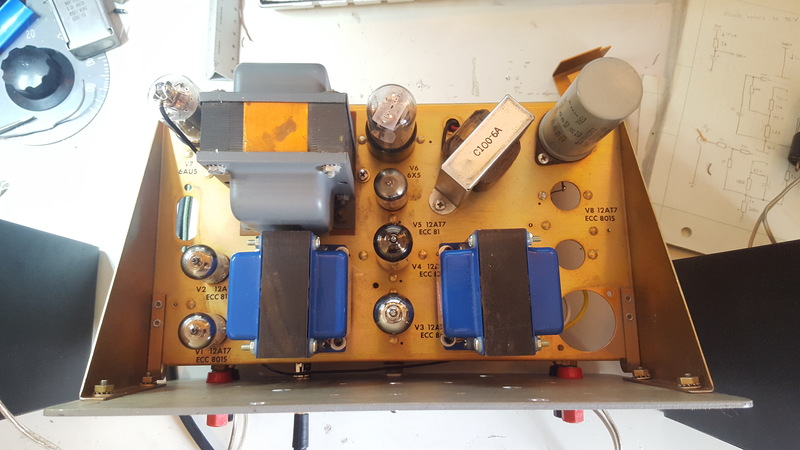 The power supply is a stabilized 250V for minimal ripple and distortion. The audio circuit has global negative feedback from the speaker output back to to the cathodes of the pre-amp. This really tightens up the bass and raises the maximum power.